When you want something done right, it is important to work with a company that people know and trust. 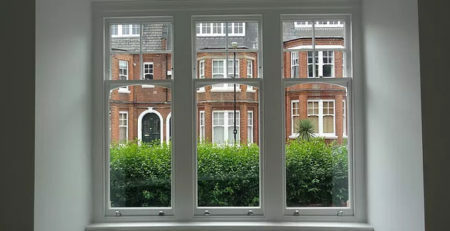 This is why Mortice and Green is relied on by countless consumers to install, repair and restore the sash windows London homes are known for. This top-rated company has worked on a variety of projects and is capable of providing an impressive range of sash window types and styles. Following is everything you need to know about this business and the truly phenomenal products it supplies. It is first important to note that Mortice and Green isn’t just valued by consumers for being a well-known company. This is a group of professionals who truly enjoy what they do. This firm has both its administrative headquarters and a private, full-service workshop that sits just outside of London. This allows these professionals to take a very hands-on approach with each and every project. This is much different from the manufacturing processes that are typically used in the making of aluminum and vinyl windows. With these two, incredibly modern types of windows, much of the production work occurs in a large, warehouse facility. Moreover, from start to finish, there are many different companies that can participate in the job. This simply isn’t the case with Mortice and Green and their sash windows. This company is proud to handle all of its work processes totally in-house. They have plenty of manpower, skills, tools and equipment for tackling both large and small-sized repair, restoration and installation projects. People love working with this business for this very reason. They is no need to worry about having various aspects of the work process get passed on to unknown companies and there is no fear of experiencing any significant losses in overall quality control. With these professionals, you will get superior workmanship from end to end along with excellent customer care. Mortice and Green is capable of offering wholly traditional sashes as well as some of the latest and recently upgraded sash styles. In years past, these units were built with just a single pane of glass in each glazing section. Now, however, sashes can be made with advanced, double glazing techniques that make them significantly more efficient. This firm is proud to offer these upgraded versions of this long-standing favorite for both those erecting new construction and those already living in existing homes. Being able to get doubled glazed sashes allows homeowners to experience the perfect blend of both the old and the new. 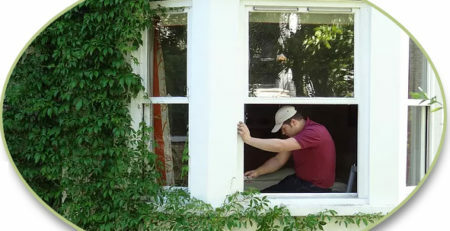 With these products, windows can maintain their gorgeous, aesthetics even as homeowners enjoy marked improvements in overall energy efficiency. There is no need to sacrifice the benefits of recent advancement in favor of dated styles. Modern consumers can get the classic, sophisticated looks the want and the level of functioning they need. These products are also excellent for increasing the overall marketability of dated home. When restoring these units, you certainly want to remain in tune with their original classic looks, but it is also important to incorporate a number of innovative and updated features that will keep the building on par with local market standards. Another reason for working with this firm is its long-standing commitment to helping people preserve the historic integrity of their home investments. If you have sashes that are badly worn on your property, fixing these could be a major goal. Mortice and Green can start by investigating the overall integrity and functionality of the unit. If the wood is not rotted and the frame can still be salvaged, these professionals will begin by implementing a number of low-cost and essential repairs to restore all of the affected areas back to an acceptable condition. If the frame is not longer salvageable, this will be pulled out and replaced, and all of the available hardware will be kept, polished and cleaned. This way, it can be installed once the restoration work is complete. When hiring projects like these out, the supplier relationships that companies maintain should always be a key point of concern. This is after all, the only way to know that hardwood and other materials have been sourced in a truly sustainable manner. Mortice and Green has had the opportunity to build strong and long-lasting relationships with a number of reputable suppliers within this industry. As a result, this firm is able to source project materials for all of its clients in an affordable fashion, while additionally promising truly premium results. More importantly, people who are concerned about the future of the natural environment can rest assured that their window products are not going to have any significant impact on forests throughout the world. In fact, when they are performed correctly, projects like these are among some of the most environmentally friendly improvements that homeowners can invest in. The first step in determining whether or not this is the right provider for your project is simply reaching out for an estimate. When you do, you will find that this company is committed to maintaining a unparalleled level of transparency in its pricing. You will be given a comprehensive and in-depth breakdown of all labor and materials charges, as well as a list of any additional fees that you are expected to pay. Consumers that work with these top-rated professionals are never subject to hidden fees. Moreover, should you choose to accept services from Mortice and Green, you will be given a reasonable guarantee on all improvements, repairs or alterations that you purchase. Many consumers regularly turn to this company when in need of helpful information for caring for their existing sashes. Mortice and Green provides a wealth of valuable info resources concerning the ongoing maintenance and care of these structures. After all, the only way to appreciate the full benefits of these truly enduring products is by making sure to properly care for them throughout the years. With the tips and advice that this reputable business provides, many homeowners have been able to both prolong the overall lifespans of their sashes and avoid the need for costly repairs.